If you’re looking for a new business opportunity, think about going blue-with Blue Martini! With 12 locations in major U.S. cities, Blue Martini offers a sophisticated and upscale concept and is a seamless entry model with marketing and training support. Our establishments have three unique bar atmospheres-patio, stage and exclusive VIP-so there are spaces to appeal to all kinds of tastes, plus we have unique martinis, craft cocktails, full bar, delicious appetizers and nightly live entertainment. It is our brand recognition and our commitment to offering only the best experiences that makes Blue Martini a proven business winner! 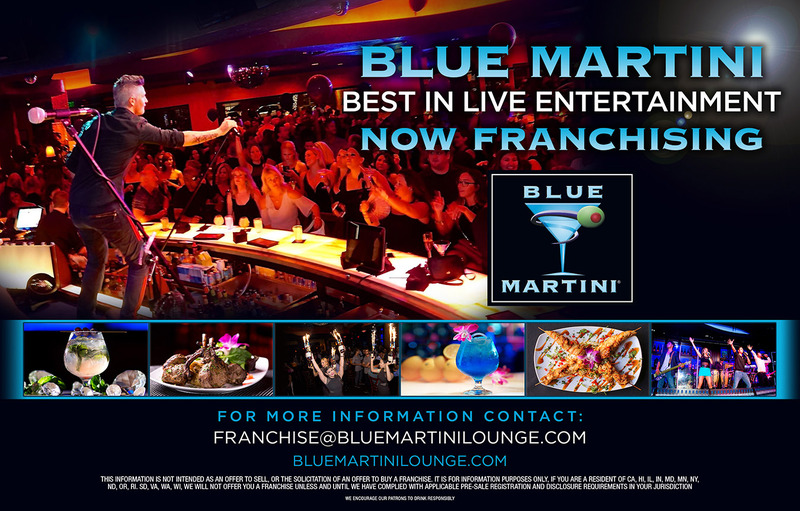 Click here http://bluemartinilounge.com/franchise/ to learn more.